BROMLEY, WALTER, social reformer, humanitarian, and educator; baptized 27 Feb. 1775 in Keelby, England, eldest son of Robert Bromley and Jane -; m. 1794 in Port-au-Prince (Haiti); there were at least two children of this union, one of whom, Stephen, married Ann DeLancey, daughter of James DeLancey*, and studied law with Thomas Chandler Haliburton*; m. secondly 25 Dec. 1831 Jane Ashton in Boston, England, and they had several children; found drowned 7 May 1838 in the River Torrens, South Australia. Raised in an agrarian Lincolnshire family, Walter Bromley enlisted in the 23rd Foot as a boy. During the wars with revolutionary and Napoleonic France, he served in such diverse theatres as the West Indies, the Netherlands, Denmark, Malta, Asia Minor, Nova Scotia (1808–10), and the Iberian peninsula. After returning to England in 1811 he retired from active service in the army with the rank of captain. Drawing half pay until the 1830s, Bromley was free to indulge his propensity for social activism. This enthusiasm had been awakened by an exposure to the evangelical interests then fashionable among his senior officers and by his own enlightened reaction to the poverty, illiteracy, and exploitation he found in England and elsewhere, in city and countryside, among whites and non-whites. 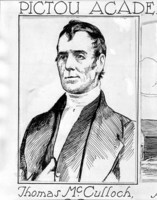 Bromley’s return to Nova Scotia in 1813 as a social reformer was wholly prompted by a desire to do good and spread British evangelical influences abroad. Nova Scotia had not been his first choice. After devoting his talents briefly to the study of the social ills of London, he had planned to undertake an agency for the British and Foreign Bible Society among the inhabitants of Spain and Portugal and among British soldiers involved in the Peninsular campaign. The society, however, was unwilling to encourage this bold venture, and so Bromley decided to promote the objects of the British and Foreign School Society in Nova Scotia, under the official sponsorship of the Duke of Kent [Edward* Augustus]. Bromley’s Royal Acadian School, which opened in Halifax in 1813–14, represented an important departure in education for the colonies. It was non-sectarian and, like the local bible society, drew as its supporters a cross-section of local society comprised of liberal-minded elements both inside and outside the Church of England. Although the aim of the school was to attack illiteracy, encourage morality, and promote industry, it also challenged the existing notions of privilege and authority in society. 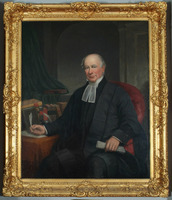 The controversy inspired by Anglican opposition to its establishment one of the school’s leading critics was judge Alexander Croke – would have daunted a lesser mortal than Bromley. Instead, acting as both teacher and administrator, he thrived on the publicity his efforts aroused. The opponents of denominational privilege, led by Thomas McCulloch, rallied to his side. His school also benefited from being in the right place at the right time and proved to be an important social experiment. It combined under one roof inexpensive education for the children of the emergent middle class, free education for the children of the poor during the serious depression that followed the Napoleonic Wars, and a workshop for the unemployed at a time when local society had not yet begun to cope with the relief of the able-bodied poor. Despite constant financial uncertainties, the school continued to attract the patronage of the city’s élite and a clientele of shopkeepers and artisans whose children’s educational prospects were extremely precarious in a town without public schooling. Because it was neither a charity school nor a private school, Bromley’s institution represented the inauguration of a middle way in education much needed by the town’s nascent bourgeoisie. The Royal Acadian School was one of the first institutions of colonial society in which middle-class self-interest and the interests of an increasingly middle-class society could be combined. Here charity pupils – black and immigrant – and fee-paying pupils – the sons and daughters of rising Halifax families (both Protestant and Catholic) – were put through their paces in the three Rs, religion, and vocational training. Parents relished the opportunity to secure a modestly priced education for their children, and for the pupils the Royal Acadian School provided an invaluable start in life. Newspaper editor George Edward Fenety*, who attended Bromley’s school in the early 1820s, claimed in 1858 that besides journalists like himself his schoolmates had included “Lawyers, Statesmen, Sailors (in her Majesty’s service) &c.&c.” One of them was Joseph Howe*. Another was Daniel Cronan*, reputed to be Halifax’s richest citizen on his death in 1892. Bromley’s promotion of manufacturing complemented his keen participation in the Halifax Poor Man’s Friend Society, organized in 1820. He was not a believer in indiscriminate charity. The pamphlets he had published in England in 1812 evinced an abhorrence of mendicity, and the Poor Man’s Friend Society, of which he was a leading member, was formed “for the adoption of such measures, as would more effectually relieve the wants of the numerous poor, and destroy the system of public begging.” Begging by children reflected badly on the highly moralistic education they were supposed to be receiving in the town’s monitorial schools. The foundation and activities of the new society, based on British counterparts, were undoubtedly inspired by the hard times of the 1820s. The members of the society, led by the town’s medical practitioners, hoped to provide a viable alternative to the existing method of offering relief under the aegis of the unsavoury poor-house. The emphasis initially placed on selective aid in the form of materials and provisions, and on finding employment for able-bodied paupers, was a feature of the society that appealed to Bromley. But the waning enthusiasm of its patrons and the consequent decline in its income meant that the Halifax Poor Man’s Friend Society rapidly fell into the less constructive practice of providing indiscriminate mass relief through soup-kitchens and the much criticized poorhouse. However humane Bromley may have been, he probably deplored this turn of events and sympathized with the Malthusian criticisms voiced in the Halifax press. Indeed, his contemporaneous promotion of a domestic manufactory in the school can be interpreted as the measure of a frustrated activist designed to encourage the Poor Man’s Friend Society back along the path of utilitarian self-help. In 1824 Bromley claimed that the society had agreed to adopt his economic plans for “houses of industry” as the model for its future operations. 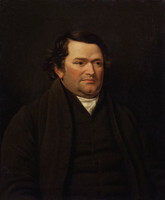 Together with his political supporter Samuel George William Archibald, John Young, the ubiquitous John Starr, a generous protagonist of all benevolent societies, and a sprinkling of dissenting clergymen, Bromley contributed to the work of the ill-fated society principally through his service on its committee of industry. The active, middle-class element in the society preferred to assist the poor to help themselves by the provision of employment and the establishment of a savings bank, which would enable them to lay aside sufficient wages in the summer months to see them through a bad winter. The collapse of these plans, and ultimately in 1827 of the society itself, must be attributed to the organization’s reliance on a few individuals and to the improvement of economic conditions, not to “the doctrine of laissez faire, and the moralizing objection to poor relief as voiced by the Malthusians,” as George E. Hart claims in his 1953 study of the society. When Bromley left Halifax in 1825 he abandoned not only a declining poor relief enterprise, but also an educational experiment which had not fulfilled his expectations. He had intended to promote the establishment of British and Foreign schools throughout the Maritime colonies. His early reports to the society in London indicate that several schools were founded, and he claimed that he had trained 12 teachers by 1817. But, despite continually optimistic remarks, only the Royal Acadian School and a few Sunday schools existed at the time of Bromley’s departure. The decision of the Nova Scotia House of Assembly in 1815 “that it is not expedient to extend Acadian schools throughout the province” put an end to Bromley’s dream. Bromley subsequently continued as an agent of the British and Foreign School Society during the period between 1826 and 1836 from his home base near Boston in Lincolnshire. According to his own account, he successfully promoted the establishment of schools and school societies throughout the more receptive counties of England. The other major aspect of Bromley’s career in Nova Scotia was his profound interest in the welfare of the Indians. Exactly how he became aware of the Indians’ circumstances is unclear, but the answer may lie in his good services to the poor and disadvantaged. In 1814 he had indicated that as soon as his work in Halifax was safely under way, he intended “to take myself to the woods among the Indians, where it is probable I may remain the remainder of my days.” The Indians were certainly represented among the beggars and drunkards whom he confronted in the streets of Halifax. Although both blacks and Indians became special objects of his concern, it is the public exposure he gave to the plight of the rapidly declining Indian population of Nova Scotia and New Brunswick that particularly contributes to his historical significance. He undertook his campaign to assist the Indians at the same time as he was launching his school. He found it impossible, however, to arouse sufficient colonial interest to sustain a voluntary local society for fostering the improvement of their conditions. To make matters worse, the assembly showed little concern for the welfare of a group of unenfranchised residents once the return of peace after 1815 removed all danger of an Indian threat. Bromley was therefore forced to seek the support of the English missionary societies. His main aid came from the New England Company, which contributed to his experiment among the Micmacs at Shubenacadie. Here, and briefly at similar settlements in Chester and Fredericton, he promoted self-help through agrarian employment as a more “civilized” occupation than hunting and as a way to keep the Indians away from the evil influences of urban life. Bromley’s work could not be continued, however, without permanent funding and greater toleration for the Indians’ unshakable Catholicism, with which his sponsor Lieutenant Governor Lord Dalhousie [Ramsay] was reluctant to interfere. 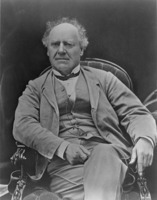 Ultimately Bromley’s major achievement was to help expose the scandalous project supported by the New England Company at Sussex Vale (Sussex Corner), N.B., where he discovered in 1822 that exploitation of Indian children was given priority over religious instruction and vocational training [see Oliver Arnold*]. Despite the failure of his own scheme, Bromley’s attitudes towards the Indians were singularly enlightened for his day and were later reflected in his work among the aborigines of South Australia between 1836 and his accidental death in May 1838. In both parts of Britain’s empire, Bromley totally dismissed the idea that native people were naturally inferior and set out to encourage their material improvement through settlement and agriculture, their talents through education, and their pride through his own study of their languages. To mid Victorian Haligonians, however, Bromley’s reputation centred not on his Indian projects but on his Royal Acadian School, a sure sign that the route to folk-hero status in the 19th century was through service to the self-interest of the middle class. For information on Bromley’s own publications as well as primary printed and secondary sources relating to his career, see Judith Fingard, “English humanitarianism and the colonial mind: Walter Bromley in Nova Scotia, 1813–25,” CHR, 54 (1973): 123–51. The major manuscript sources are as follows: British and Foreign Bible Soc. Arch. (London), Home corr., 1812, 1815, 1836; Guildhall Library (London), mss 7920/2, 7956, 7969–70 (New England Company papers) (mfm. at PAC); Lincolnshire Arch. Office (Lincoln, Eng. ), Anderson Pelham, rental books; Keelby, vestry records, 1775; Yarborough wapentake, land tax accounts; PAC, MG 24, B 16; PANS, MG 15, B, 3, no.24; MG 20, 180; RG 1, 230, 305, 411; RG 5, P, 80; RG 20C, 40, no.436; PRO, CO 13/5, 13/7, 13/9, 13/11; CO 15/1; SOAS, Methodist Missionary Soc. Arch., Wesleyan Methodist Missionary Soc., corr, North America, box 4; Council for World Mission Arch., London Missionary Soc., corr., North America, folder 2, no.41, folder 5, nos.7–8, 12; and SRO, GD45/3/18–27 (mfm. at PAC). See also Church of Jesus Christ of Latter-Day Saints, Geneal. Soc. (Salt Lake City, Utah), International geneal. index, and PRO, WO 25/751: ff.28–28v. Relevant secondary sources found or written since the publication of the article include: J. M. Beck, Joseph Howe (2v., Kingston, Ont., and Montreal, 1982–83), 1; Susan Buggey, “Churchmen and dissenters: religious toleration in Nova Scotia, 1758–1835” (ma thesis, Dalhousie Univ., Halifax, 1981); Upton, Micmacs and colonists; Herald (Halifax), 23 Sept. 1892; Morning Chronicle (Halifax), 10 July 1868, 11 July 1874; Morning Herald (Halifax), 7, 12 Sept. 1885; and Morning News (Saint John, N.B. ), 2 Aug. 1858. Judith Fingard, “BROMLEY, WALTER,” in Dictionary of Canadian Biography, vol. 7, University of Toronto/Université Laval, 2003–, accessed April 24, 2019, http://www.biographi.ca/en/bio/bromley_walter_7E.html.